Hair expands, stretches, and changes its protein bonds temporarily when wet or damp. 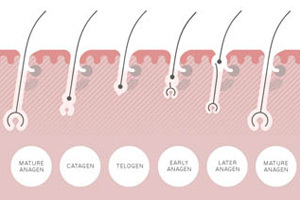 This is why your hair sets into a desired style when you apply heat. However, it’s also why your hair will revert to its natural configuration as soon as it’s touched by humidity (moisture in the air). Where you go throughout the day affects how much frizz your hair will have, because humidity varies in different environments. You can be at home, travel on a subway, sit in an office, go out to get lunch and be in and out of air conditioning and central heating. These changes all cause your hair to reshape, often multiple times throughout the day. The best way to prevent frizz is to dry and style your hair with products that discourage your hair from absorbing moisture. 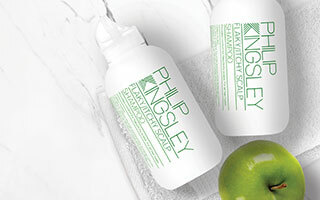 The key ingredient in these products is silicones as they are moisture resistant and light in texture. However, you need to choose carefully as some silicones can leave your hair feeling greasy, coated, heavy, dull and even dry. Also, be careful not to use too much of a product containing silicone when heat-styling. This can cause ‘silicone burn’ –an unpleasant brittleness and dullness of the hair that’s almost as maddening as the frizz. If your hair sticks out in odd places, use a ‘smoothing’ styling product to tame your hair and temporarily smooth unruly wisps. Hair that is broken and dry is more prone to looking frizzy. Hydrate your hair with a weekly pre-shampoo conditioning treatment to discourage breakage and smooth your hairs’ cuticles. A daily protective spray will also help shield your hair from daily environmental weathering and damage. 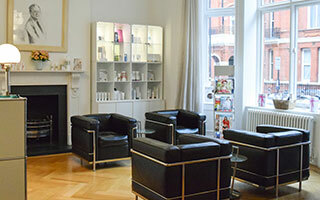 If you would like to find out more information on frizzy and flyaway hair, our clinics based in London and New York specialise in hair and scalp treatments.